Disclosure: This post is brought to you by St. Martins Press. All opinions on this blog are my own. Is there anything better than curling up with a good book and a delicious hot beverage? I don’t think so. Reading has always been a favourite hobby of mine since I was a toddler. It’s what I consider “me time”. I make sure I schedule at least 20 minutes into my day. I find it really helps my stress levels and it’s something nice I can do for myself. My favourite kind of books to read are thrillers. I love books that are fast paced with lots of twists and turns. I just finished reading a book that I gave 5 stars to on my Goodreads profile. Lies by T.M. Logan is a MUST-READ. I finished the book in a matter of days which is quick for me. A fast read is a good read and a book that I’ll be putting on my recommended books to read blog post that I write once a year. What if you have the perfect life, the perfect wife and the perfect child–and then, in one shattering moment, you discover nothing is as it seems? It’s the evening drive home from work, a route Joe Lynch has taken a hundred times with his young son. But when he unexpectedly sees his wife’s car ahead of them, he decides to follow her–and ends up witnessing her secret rendezvous with another man. The encounter will tear two families apart and leave an innocent man set up to take the fall for a murder. Lies is T.M. Logan’s first novel and he has a new fan in me. The book was incredible. It’s the kind of book that catches your attention in the very first chapter and hooks you in. I just had to keep reading and spent a few late nights devouring this book to find out what would happen next. I found myself very attached to the main character, Joe. I saw all that he was going through and felt so frustrated for him. I just wanted to shake the police officers and say, “Don’t you see what is happening here!”. It made me want to keep reading because I had to know if the truth would finally clear his name and what exactly that truth was. It’s not what you think it will be and that is the beauty of this page-turning thriller. I did not see it coming at all. My jaw literally dropped at the end of the book when I found out the truth. All the pieces of the puzzle will come together and you will be shocked. At least, I was shocked and didn’t figure things out till the very end. 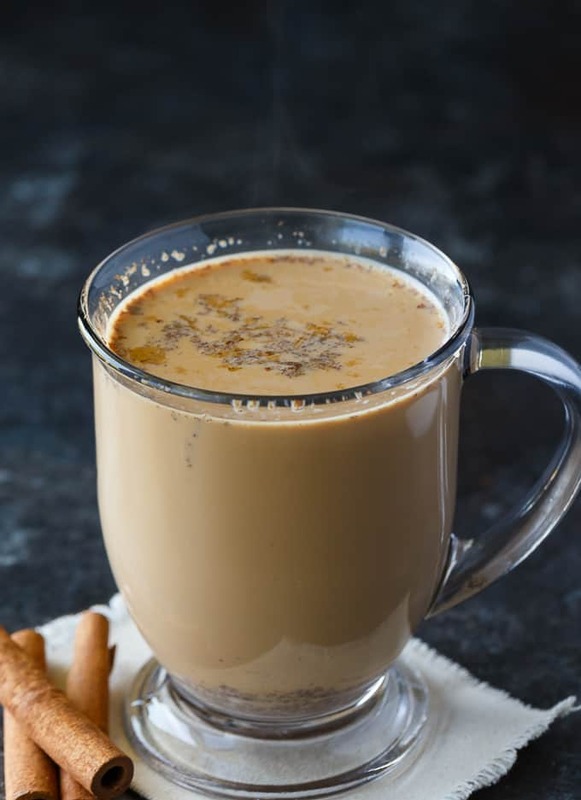 I recommend you pick up a copy of Lies ASAP and cozy up with this delicious Slow Cooker Chai Latte. I thought a recipe with tea would be the perfect accompaniment to this book because it’s set in London, England. I always think of tea when I think of England. It seemed like a fitting recipe to share with this book. 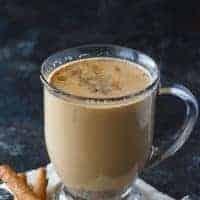 I love the sweet and spicy flavours of Chai Lattes. I think this recipe is so much better than the kind you can buy in the coffee shop. It’s homemade and your slow cooker will do all the work for you. Sip and relax while you curl up on the couch and read. 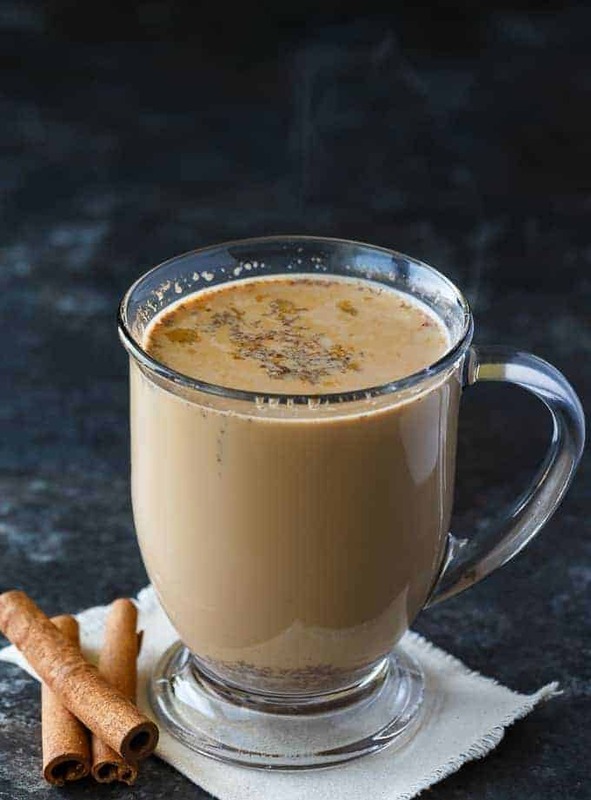 The cold weather is coming (ugh), but that’s ok because you can warm yourself up with a hot beverage. 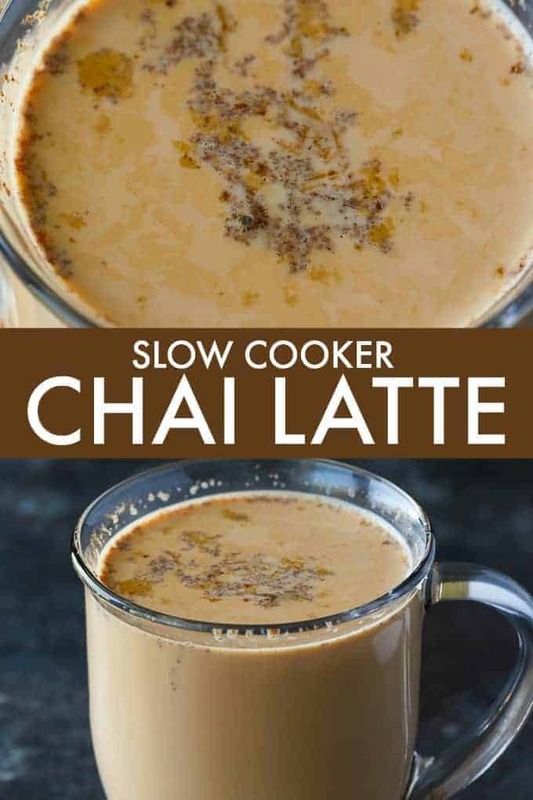 This Slow Cooker Chai Latte is super easy to make with little effort. If you can measure ingredients, you can make this recipe. Add milk to the slow cooker and stir in cloves, nutmeg, ginger, vanilla extract, cinnamon and sugar. Float the cardamom seeds and tea bags on top. Their flavours will permeate into the mixture as it cooks. Cover and cook for two hours on high. Enjoy a big mug while it’s nice and piping hot! My favourite spot to read is on the couch in the living room. I get in my pjs and wrap myself in a fuzzy blanket. I might light a candle or two to increase the ambience. I’ll sip and savour my hot drink while I read. Pure bliss. 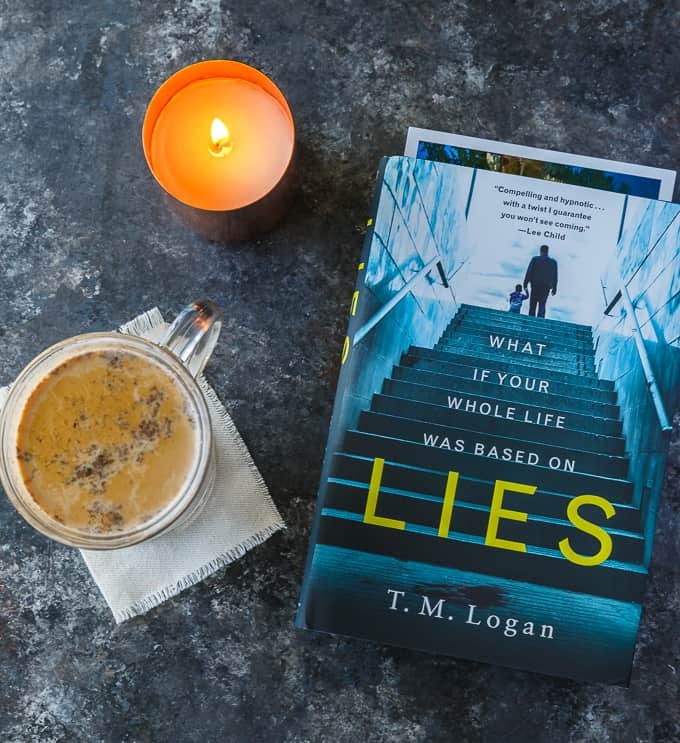 Go ahead and pick up your copy of Lies today and try my recipe. You can thank me later! Sweet and spicy! 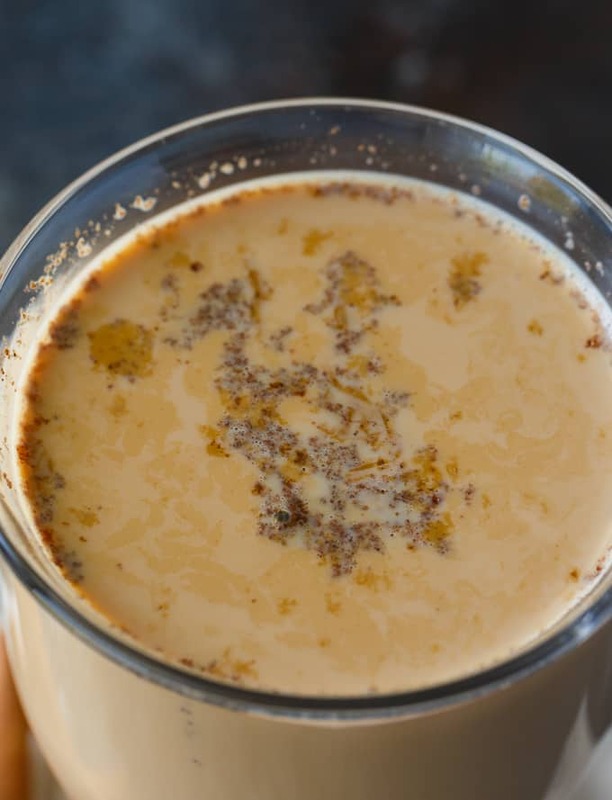 This cozy drink is perfect for cold nights curled up with a good book. Add milk to the slow cooker and stir in cloves, nutmeg, ginger, vanilla extract, cinnamon and sugar. Float the cardamom seeds and tea bags on top. Cover and cook for 2 hours on high. Serve hot. 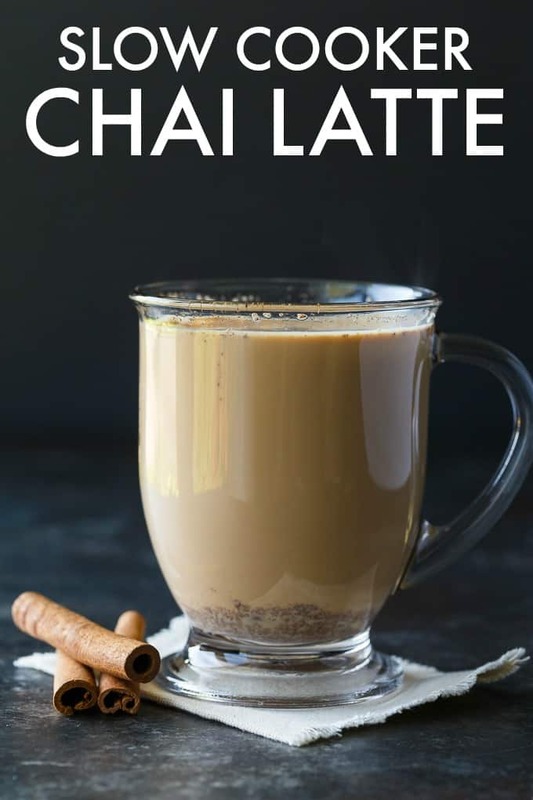 I’m really excited to try the Chai. I really enjoy reading, but thrillers are not my thing, I end up not going to sleep at night. It sounds like a cool story though. Have a great week! This will be a great Latte! Thanks so much for sharing your post with us at Full Plate Thursday, we have really enjoyed it. Hope you have a great day and come back soon! This sounds perfect for the fall/winter season. We’re always making hot chocolate and this would be a nice change of flavor. Thanks for sharing your recipe on MM.